Chelsea Legend Frank Lampard has confirmed he is considering joining Derby County. Derby County has been without a coach since their coach Gary Rowett left after the club lost to Fulham in the play-off semi-finals. Dery Couty are now looking to sign a new coach and they have contacted Frank Lampard if he will like to take the position. 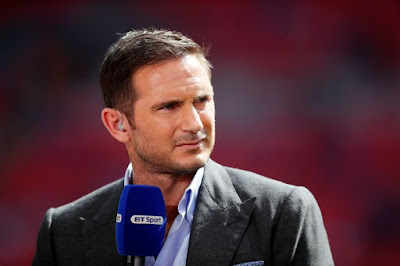 During the coverage of the Champions League final game between Real Madrid and Liverpool, Frank Lampard discussed the situation and also made it know he is considering the offer. Though Lampard has never coach a team before, but he will like to try to his luck if he can make it as a coach. Derby County on the other hand are a club desperate for Premier League promotion as their last time in the Premier League was ten years ago. What do you think about Frank Lampard going into coaching?